Great choice of new divan beds, with or without storage. 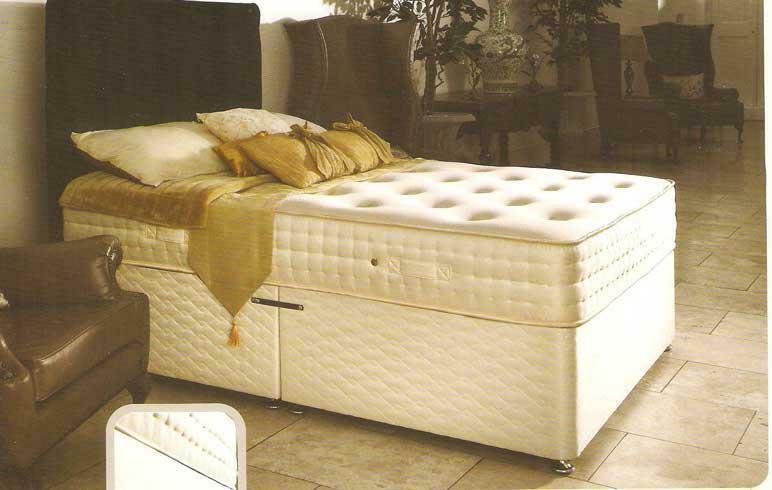 Staggs Beds are made to order and delivered within 7 days. If you can't wait that long then we can supply you with any bed or mattress from our display which we can deliver any Saturday afternoon. 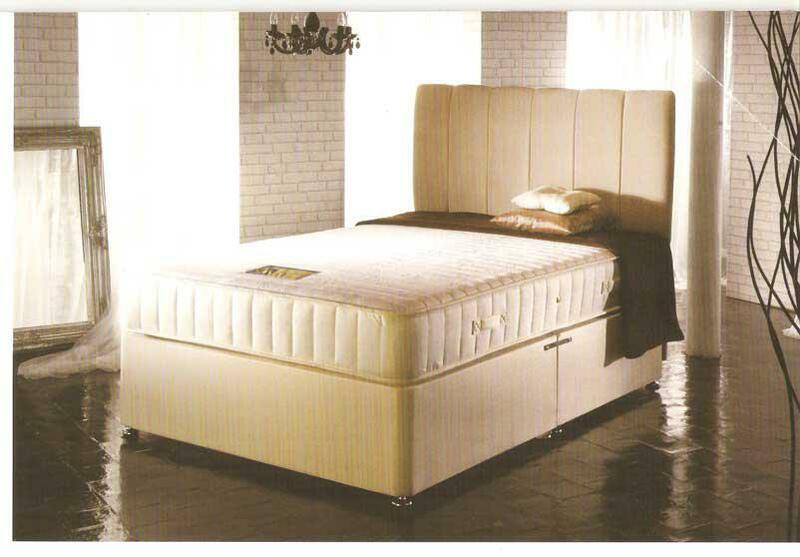 We offer a range hand made Divan beds and mattresses. Soft ,Orthopedic, and pocket sprung. These can be made using either traditional fillings, or the very latest Memory Foam . All models can be made with the option of Woden drawers on metal runners and 3`0`` models can also be made with Sliding Door Storage meaning that you can use the whole of the inside of the base for storage accessed by sliding doors. Full details of all our models can be found below. All the models shown are on display in our showroom. We deliver free every Saturday Afternoon to Nuneaton, Bedworth, Hinckley, and Atherstone. outside this area we make a small charge to cover the cost of the fuel. in the Gallery section of this web site and the full range is on display in our showroom. 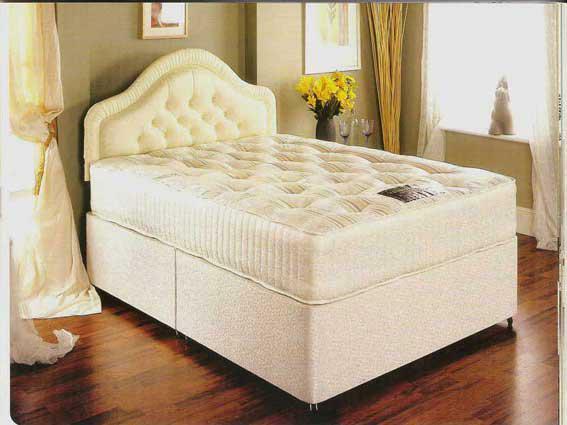 This Luxurious mattress has 1500 individually wrapped pocketed springs in the 5` 0`` model. With layers of Sumptuous upholstery containing wool and white fiber ,covered in a soft damask fabric. With 1000 individually wrapped pocket springs in the 5` 0`` model. The Balmoral is filled with sumptuous layers of silk, wool, and cashmere, covered in luxury stress free knitted fabric. 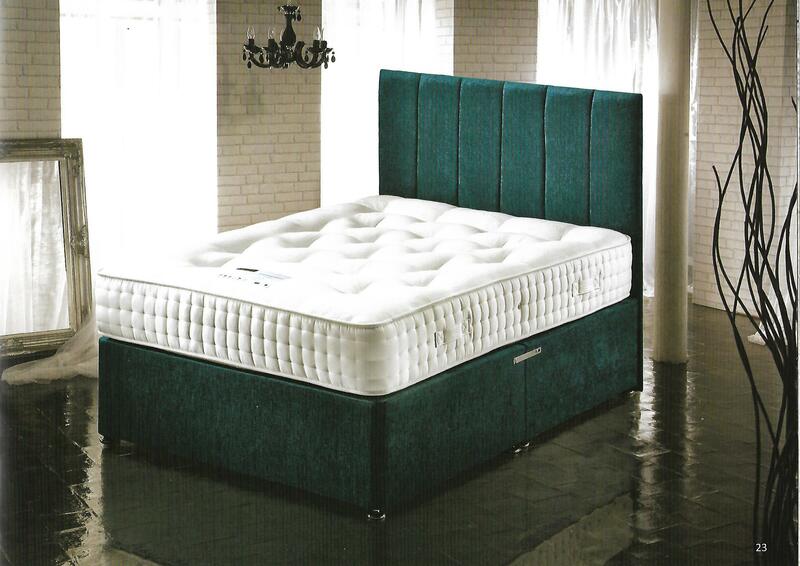 The Knightsbridge Mattress features 1000 individual nested pocket springs in the 5`0`` model topped with traditional fillings covered in a knitted fabric containing extracts of Aloe Vera to help promote healthy sleep. Mattress sold seperatley. 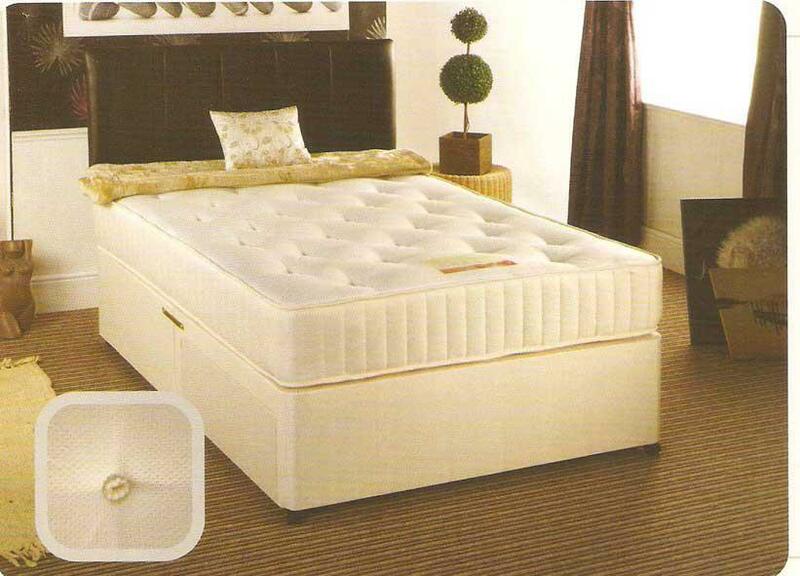 The Supreme Orthopaedic Mattress combines our exclusive "Backcare" spring system with a 75mm layer of memory foam bonded to high density foam for durability and covered in stress free knitted fabric. Mattresses sold separately. 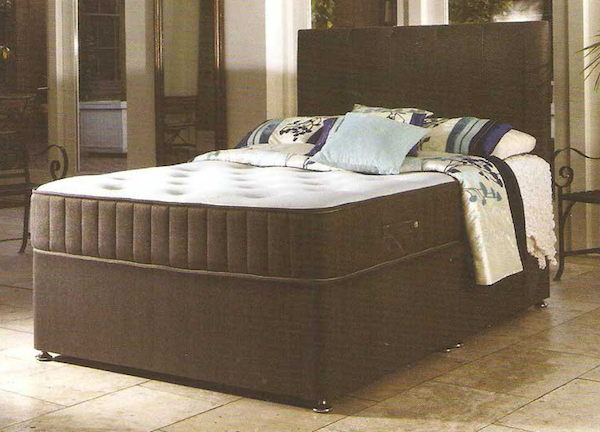 If you like a firm bed then this is the one for you. The mattress contains our exclusive "backcare" support spring system, topped with a firm filling and covered in a high quality damask fabric. Mattresses sold separately. The Windsor Divan features our traditional spring unit topped with a soft filling and covered in a quality damask fabric to give you a comfortable softer sleep. Standard sizes available, mattresses sold separately. 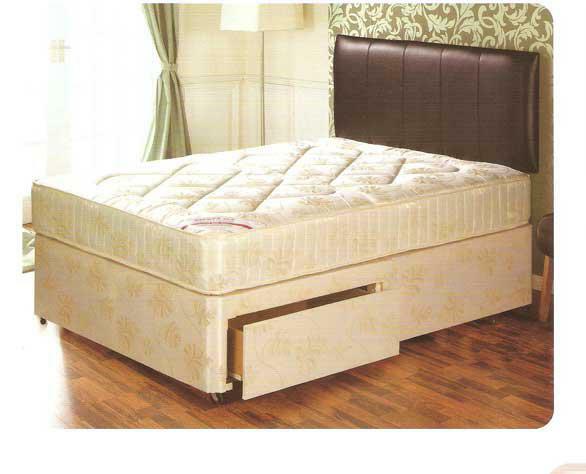 4`0``& 4`6``Divan Bed With Mattress £195.